Every Aussie backyard needs a lawn. It’s a key landscaping piece and the setting for so many important activities, ranging from backyard cricket to afternoon beers as well as plenty of kid-friendly activities. You know you want one. But, do you want the real thing or something artificial? The choice used to be easy, but the quality of synthetic options has made that choice a little more difficult. So, here’s a short guide to help you on your way to finding the perfect patch of green for your little slice of Australia. There are a few questions you need to honestly answer before you can make the right decision. Do you have the time to maintain a turf lawn? This is a big question. In fact, most people that go with the synthetic option do-so based on this question alone. Lawns do need a lot of love, particularly in the ever-changing climate of this great city. If you don’t have time to mow, aerate, water, trim and edge you don’t have time for a lawn, so go synthetic. If you’re dealing with a high-traffic area, synthetic is a great option. You don’t have to worry about mud, and you don’t have to worry about tearing up your carefully laid turf. You can also hose synthetic turf down to make it look good as new, something you don’t get with the real stuff. What is your budget regarding upkeep and purchase? 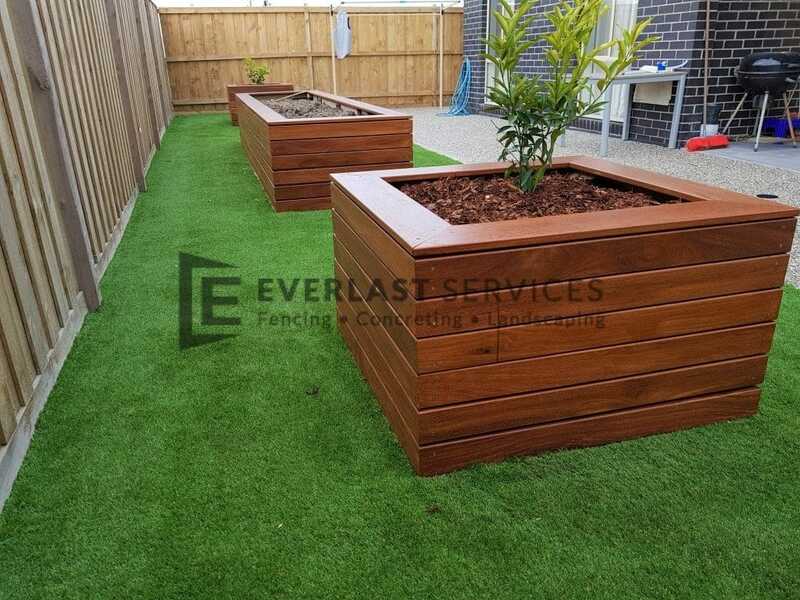 Artificial grass is more expensive than lawn in terms of installation. Remember, it’s not just about laying it down, you have to think of the draining sub base. Another thing to consider is that if you stay in your home for an extended period you will have to have it replaced as no synthetic turf lasts forever. On the other hand, turf is cheaper to lay, and it will last forever. But, you do have to factor in the cost of a lawnmower, as well as fertiliser and even watering costs if you’re particularly budget conscious. Do you have children and animals? Artificial lawn is great for pets because you can just hose away any remains they leave behind. It can be a good option for older children, but if you have young ones that are still a bit unsteady on their feet, you may want to consider the softer turf alternative. Does your backyard get plenty of sunshine? You cannot beat the weather, and like all living things, real lawn does need sunshine. If your backyard is lacking in this crucial element, you will have your work cut out trying to eek any form of life out of your turf. So, make life a little easier and just go with the artificial option. Like all plant life, real grass is excellent for the environment and the air quality of your home. A 2.500 square foot patch of grass can create enough oxygen for a household of four, while an average sized lawn is capable of capturing up to 300 pounds of carbon. Maintaining a lawn is an excellent form of incidental exercise. Mowing and weeding will help you to avoid the sedentary lifestyle plaguing so many of us and ensure you spend more of your weekend outside and not on the couch. A real lawn will attract all sorts of animal life to your backyard. The sound of birds in the morning and the provision of an environment for all kinds of creepy crawlies is sure to give you a better lease on life. If your time poor and struggle to get a weekend as it is, artificial turf is a great way to get some leisure time. It also gives you time to actually enjoy the lawn, as you can spend time drinking, reading and relaxing on it, instead of looking after the maintenance. Artificial turf is perfect for small spaces, and the deep green will still give you that sense of calm that green spaces offer. Does your backyard consist of a patch of concrete? Well, you can lay turf straight over it for an instantaneous alternative to drab, uninspiring cement. So, there you go. Choosing the right option is all about asking yourself the hard questions and most importantly, answering them honestly. Including turf in your backyard is a big decision, so it’s worth taking your time. 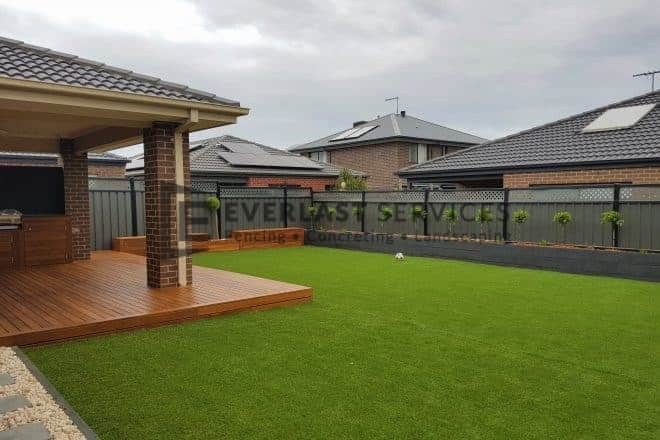 Artificial turf can compete with the real thing, so don’t ever think you’re being forced into making an inferior decision if your backyard doesn’t suit the real thing. Of course, if the feel of green, growing grass is what you want, then go for it and enjoy the labour of keeping it healthy.